Die Aussagen im Buch Menschenkinder stützen sich auf eine Vielzahl von Veröffentlichungen in anderen Büchern, Fachzeitschriften und im Internet. Diese Quellen wurden im hinteren Teil des Buches in Kurzform benannt (z.B. Achleitner 2011). In der folgenden Liste finden Sie die vollständigen Literaturbelege. Anisfeld E, Casper V, Nozyce M. and Cunningham N.: Does infant carrying promote attachment? An experimental study of the effects of increased physical contact on the development of attachment. Child Development, 1990,61:1617–1627. Bartick M, Reinhold A.: The burden of suboptimal breastfeeding in the United States: a pediatric cost analysis. Pediatrics. 2010 May;125(5):e1048-56. Belfield, C.R., Nores, M., Barnett, S., & Schweinhart, L. (2006). The High/Scope Perry Preschool program: cost- benefit analysis using data from the age-40 follow-up. Journal of Human Resources, 41(1), pp. 162-190. Bell SMV, Ainsworth MDS: Infant crying and maternal responsiveness. Child Development 43 (1972), pp. 1171–1190. Burdette HL, Whitaker RC. : Resurrecting free play in young children: Looking beyond fitness and fatness to attention, affiliation, and affect. Arch Pediatr Adolesc Med. 2005 Jan;159(1):46-50. Casiday RE, Wright CM, Panter-Brick C, and Parkinson KN. : Do early infant feeding patterns relate to breast-feeding continuation and weight gain? Data from a longitudinal cohort study. European Journal of Clinical Nutrition 2004,58(9):1290-1296. Colrain IM, Baker FC. : Changes in sleep as a function of adolescent development. Neuropsychol Rev. 2011 Mar;21(1):5-21.
de Alencar AE, Arraes LC, de Albuquerque EC, Alves JG. : Effect of kangaroo mother care on postpartum depression. J Trop Pediatr. 2009 Feb;55(1):36-8. Deutsch FM, Ruble DN, Fleming A, Brooks-Gunn J, Stangor C.: Information-seeking and maternal self-definition during the transition to motherhood. Journal of Personality and Social Psychology, Vol 55(3), Sep 1988, 420-431. Deutsche Gesellschaft für Gynäkologie und Geburtshilfe. Absolute und relative Indikation zur Sectio caesarea. AWMF 015/054 (S1), 2010. Regine Hauch: »Mein Haus, mein Auto, mein Kind – die Ökonomie des Kinderkriegens«, in: Kinder- und Jugendarzt, Heft 12/01, 2012/2013, S. 752 ff. Kaplan, H. Evolutionary and Wealth Flows Theories of Fertility: Empirical Tests and New Models. Population and Development Review 20(4): 753-791, 1994. Javo, C., Rønning, J.A. & Heyerdahl, S. 2004. 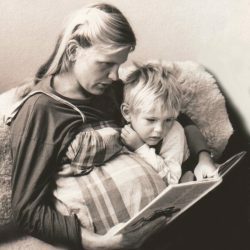 “Child-rearing in an indigenous Sami population in Norway: A cross-cultural comparison of parental attitudes and expectations.” Scandinavian Journal of Psychology, Volume 45 Issue 1, Pages 67-78. Moore ER, Anderson GC, Bergman N, Dowswell T. Early skin-to-skin contact for mothers and their healthy newborn infants. The Cochrane database of systematic reviews. 2012;5:CD003519. doi:10.1002/14651858.CD003519.pub3. Angelika Rodler und Eva Schreuer: Gebären oder entbinden lassen? Sakumoto K, Masamoto H, Kanazawa K.: Post-partum maternity »blues« as a reflection of newborn nursing care in Japan. Int J Gynaecol Obstet. 2002 Jul;78(1):25-30. Hofferth, S. L. and J. F. Sandberg. 2001. „Changes in American Children’s Use of Time, 1981-1997.“ In: T. Owens and S. Hofferth (eds.) Children at the Millennium: Where Have We Come From, Where Are We Going? New York, Elsevier Science, pp. 193-229. Schieche M, Spangler G.: Individual differences in biobehavioral organization during problem-solving in toddlers: The influence of maternal behavior, infant-mother attachment, and behavioral inhibition on the attachment-exploration balance. Dev Psychobiol. 2005 May;46(4):293-306. Schmitt, M. & Sixt, M. (2014). Social Relations and Academic Success after Transition to Secondary Education in the German Educational System. Journal for Educational Research Online, 6 (2), 66–88. Sear R and Mace R.: Who keeps children alive? A review of the effects of kin on child survival. 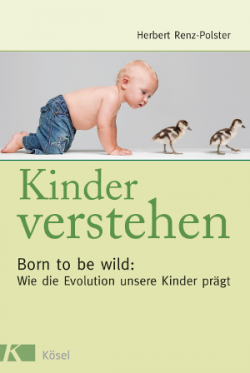 Evolution and Human Behavior, 2008, 29, 1Â–18, online unter http://www.anthro.utah.edu/PDFs/sear-mace08grams.pdf. Tandon PS, Saelens BE, Christakis DA: Active play opportunities at child care. Pediatrics. 2015 Jun;135(6):e1425-31.